We have entered new unknown territory. The heightened accelerated “jump” we are in can be shaky or steady, depending on each and everyone’s own experience. Do whatever is true for you in your heart and you’ll be just fine! The New Moon opened a huge gateway that is unique to everyone. Let your entrance be glorious and fabulous, with your style and ways. Mine carries a lot of emerald gold diamond drops and sparks of sunshine. What does your gateway doorway looks and feel like? The Phoenix has laid the fire egg. On a collective scale, the fire purification of the fire element is done and has completed a huge shift. This means, we will see less fires around the world from now on. 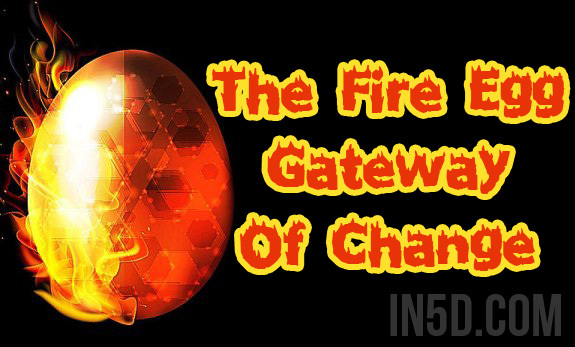 The fire egg carries a lot of meanings. Just know that the elements are not as they were. They are stronger. Tune into nature, the whether and the planetary consciousness. It is changing very rapidly now. Many times, it doesn’t make sense. Just remember to have faith in the elements and the New. Trust your own heart. We are “cleaning house” everywhere. Don’t forget what that really means. I wish you all a vibrant and explorational Gateway!! !